Two hours north of Bangkok I was warmly welcomed into the small community of Singburi, as one of the local Kindergarten teachers. For one year, I was one of only a small handful of foreigners in that town and that year was to change my life. 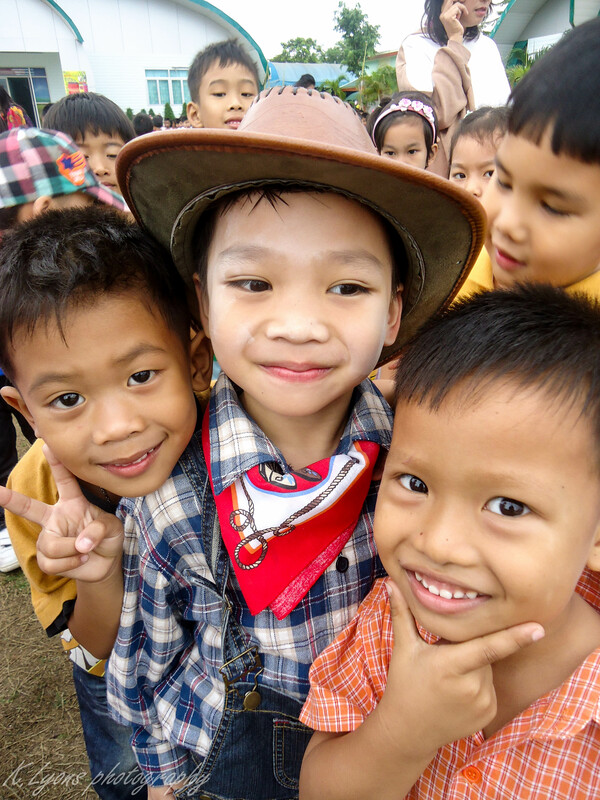 Here’s just five reasons why everyone should give teaching in Thailand a go! Be welcomed into a new community. “Farang, farang! !” they would shout as I walked down the street with their fingers pointing in my direction. Farang often pronounced ‘falang’ is the Thai word for foreigner but it’s also the Thai word for the Guava fruit. That’s a little rude I thought at first, feeling very out of place and an obvious minority. You quickly come to realise that usually no offence is meant by the word ‘farang’ which seems like a pretty derogatory term. People are often simply intrigued by foreigners as in more rural towns their presence can still be quite a rarity. Once people get to know you, you will likely find they will use the term ‘farang’ much less, if at all, as they have more respect. Most Thai people find white skin incredibly beautiful and may pass comment on this, many Thai’s do all that they can to lighten their own skin from using whitening beauty products to covering themselves fully from the sun. I suppose we all want what we can’t have, most white people try so hard to darken theirs! Paler skin is also believed to be a sign of wealth. It’s thought that the lighter your skin the better job you have, as you’re not out all day grafting in the sun. Thai people are usually very proud to have a foreign teacher in their community, with you, you bring opportunity, new ideas and of course money. Often showered with gifts and told everyday how beautiful ‘suai’ you are by your colleagues and parents of your students is quite something to get used to. Soon enough will come the dinner party invites and the requests to help improve the English of your Thai peers because everybody wants to be able to talk English and talk to you, after all you’re the local, token ‘farang’ of course! Realise that ignorance really is bliss! It’s always going to be difficult to live and work in a country where English is not widely spoken and Thailand is certainly no exception! The country is infamous for its slow pace and laid back attitude known to us as ‘Thai time’ and this can take some getting used to! If you do not quickly adapt to the attitude that is ‘oh well, never mind’ or ‘mai pen rai’ in Thai, you will find that you will become very easily frustrated. This attitude along with the language barrier definitely causes some confusion and sometimes you can find yourself preparing work for something you know nothing about, maybe it’s an English camp or perhaps it’s an exhibition of the student’s work, who knows!? So what if you’ve showed up to school and no one told you it was a bank holiday… or maybe they did but it just got lost in translation somewhere or they just weren’t even really sure themselves until that morning. Who cares if you’ve shown up in the wrong t-shirt because they changed it at the last minute… or the bus is supposed to come at 7am and it arrives at 2pm! Mai pen rai! If there is one thing Thailand will teach you, its patience. Just go with flow, sometimes it’s nice not to know what’s going on and on the plus side you will be blissfully unaware of all the politics and gossip at your school. Coming from a country that is suffocating in political correctness and quickly becoming referred to as a ‘nanny state’ in its overprotection and control of public health, risk management and health and safety polices, Thailand was a breath of fresh air! I witnessed children being children, play fighting in the field, shooting each-other with imaginary guns and god forbid hugging their teachers when they hurt themselves! We could even sing ‘ba ba black sheep’ without it causing offence and at the end of the day the teachers would go to dinner with some of students and their parents. On your birthday, Christmas or end of term you would be showered with gifts from students and parents and it was even OK to give back, be it with some subtlety if you couldn’t provide for everyone. It felt great to be able to do a job without worrying about being perceived as prejudiced. Being a social worker, I of course understand the need to safe guard children. However, I don’t believe this relaxed approach put any children at risk. The only thing I saw that made me uncomfortable was the practice of tapping the back of a child’s hand with a ruler for punishment. This appeared to cause more humiliation than anything and I asked that this not be used in my classes and that was accepted. The teaching environment for me meant that strong relationships and friendships were formed with both students, parents and colleagues and that is always going to be a tough one to swallow when time comes to leave or move on. Thailand is thriving with culture, embrace it and respect it. Buddhism is practiced by most Thais and you will be given the low down on what to do and what not to do when you arrive, including how to dress. Instead of shaking hands Thai’s ‘Wai’ – a bow with hand and fingertips together at your chest. You must never touch a person on the head or point the soles of your feet at somebody. This is because the head is the highest and most sacred part of the body and the feet the lowest. There are many do’s and don’ts in Thai culture and you would benefit from taking some time to read up on these. To experience real Thailand don’t head straight for Bangkok when looking at schools to teach in, head to smaller towns and you won’t be sorry. Taste the authenticity of Thai foods in the bustling local markets and practice your bartering skills, marvel at the huge golden temples and Buddha statues, learn the art of meditation and get up early to give offerings to the monks as they pass through your area. Accept invites to dinner and chill out with great food and a local beer, the Thai’s are so welcoming and make great hosts! Most importantly always ask the locals. If there is something you want to buy or some place you want to go just ask, people are usually more than happy to point you in the right direction and may even offer to take you. Thailand has many public holidays and festivals, my favourite of which is ‘Songkran’ the Thai New Year. It’s some of the best fun to be had in Thailand, a huge country-wide water fight for all to enjoy!! 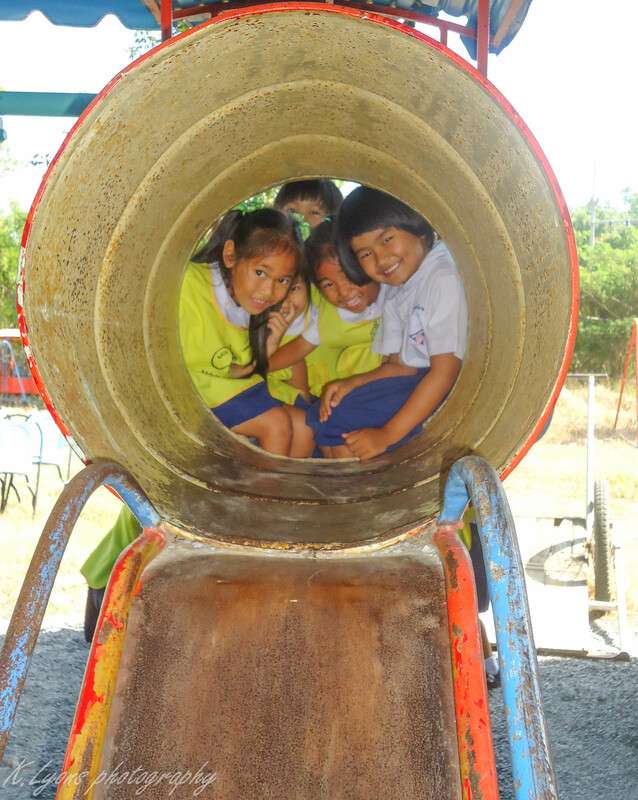 Wherever you teach in Thailand you can guarantee you are only a bus ride away from a new adventure. You could probably end every working week somewhere new if you wanted to. Public transport is pretty good in Thailand and cheap too. Of course, the buses run on Thai time so be prepared for your bus driver to stop off in some village and have his lunch and a chat with friends while you wait in the stifling heat, or for some kind of mechanical fault including leaking or broken air-conditioning but all in good time you will get to your destination! Bangkok is the transport hub for all Thailand has to offer. Several bus stations await to send you off on your adventure. Head up north to play with tigers and elephants or trek through the jungle terrain and visit mountain tribes, or why not go east to experience ‘Isaan’ the simplistic, authentic Thailand where water buffalo bathe in the murky swamps encased by rice fields. Make your way down south to soak up the sun in crystal clear waters of white sandy beaches and party the night away til the sun comes up! Or just stay in Bangkok for a sensory overload of colours, sounds and sights and shop til you drop in many of the local markets and shopping centres. Thailand really does have it all. 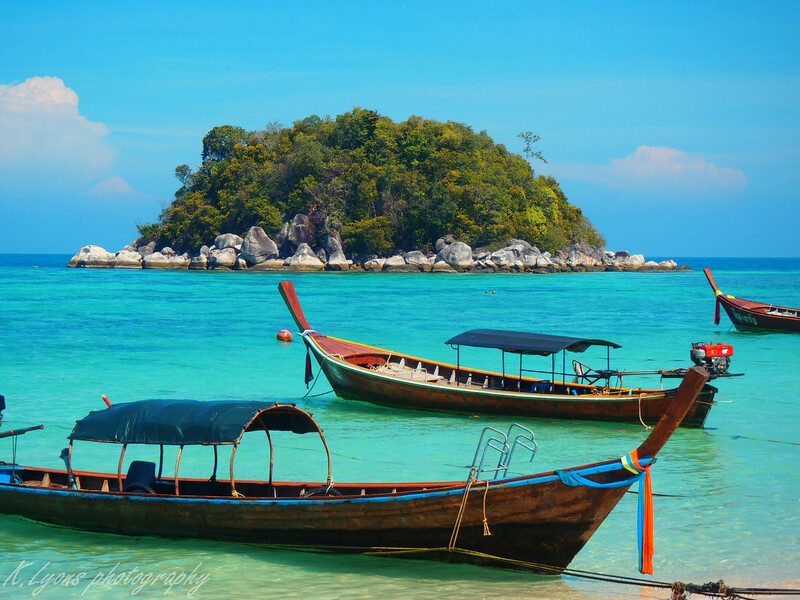 That’s just five reasons why you should make Thailand your next teaching destination. Feel free to ask any questions in the comments and i will try to help you as much i can. Posted on August 8, 2015 January 3, 2019 by GypsylifePosted in AsiaTagged asia, englishteacher, kindergarten, kindergartenteacher, nomad, nomadic, southeastasia, teach, teachasia, teachthailand, teflteacher, thailand, traveler, traveling, travelthailand, wanderlust. Previous Previous post: The Travel Bug: Signs and Symptoms. Next Next post: USA: The wonders that await you in Page, Arizona.